If you visit Architects and Engineers for 911 Truth, and look at the list of Technical Articles on their sidebar, you will see some familiar names (I would hope), like David Ray Griffin, Steven E. Jones, Kevin Ryan, and Jim Hoffman. You'll also find links to some articles you may have already read, or at least heard of (I would hope), like "The Destruction of the World Trade Center: Why the Official Account Cannot Be True", and "Revisiting 9/11/2001 -- Applying the Scientific Method" and "Lies about the WTC by NIST and Underwriters Laboratories" and "Why Indeed Did the WTC Buildings Completely Collapse?" And you will see names of people and titles of articles you have never heard of (unless I'm way wrong). But if you are serious about such things as physics and engineering and evidence and truth, most of the items on this list will appeal to you (I would think). 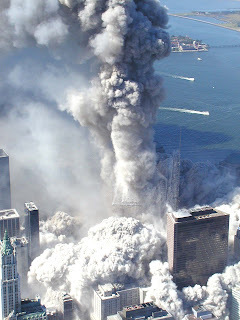 • The NIST WTC Investigation -- How Real Was The Simulation? • Can Physics Rewrite History? • Why Indeed Did the WTC Buildings Completely Collapse? It is indeed an honor.